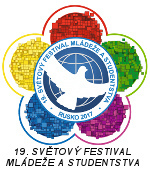 More than 60 years have elapsed between the first World Festival of Youth and Students, that was held in 1947 in Prague, the capital of Czechoslovakia and the current 17th festival in Pretoria in 2010. 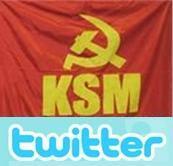 The KSM has a long history of its work as well as of its struggle against repression. 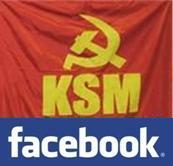 The KSM was founded as an organization uniting young communists of all the nationalities of Czechoslovakia in 1921 and was a member of the Communist International of Youth established from Lenin's initiative in the same year. During the bourgeois First Czechoslovak Republic (1918 - 1938) the KSM was banned two times by the state power and continued its work underground. It was an important reservoir of cadre for the Communist Party of Czechoslovakia. Great Victory on KSM Issue at the Court! KSM is Legal again! On January 27th 2010 the Communist Youth Union (KSM) of the Czech Republic was tried again at the Municipality Court of Prague regarding the issue of illegalization of KSM. The Municipality Court of Prague, based on KSM?s extraordinary appeal and decision of the Supreme Administrative Court of the Czech Republic, cancelled the judgment at law from 2008, which rejected the administrative protest delivered by the KSM against the decision of the Ministry of Interior of Czech Republic on the dissolution of the KSM. This is very important decision for KSM, because it legalises KSM again. KSM now can again work openly as legal organisation. On September 1st 2009 the Communist Youth Union (KSM) of the Czech Republic received a judgment of the Supreme Administrative Court of the Czech Republic regarding the issue of illegalization of KSM. On the 1st of June two members of CJC were arrested during the antifascists demonstrations in the streets. We express our full solidarity to our comrades and we take this act as an unacceptable attack against the fundamental rights and we denounce a clear presentation of the delegate of the government in Madrid supporting the fascist organisations in Madrid. This is a part of a long lasting tendencies of fascization of the society in the whole Europe.